BRYAN EATON/Staff Photo. 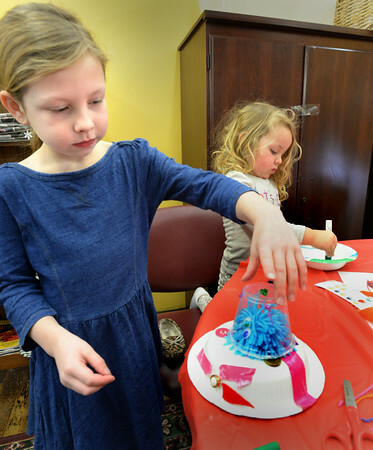 Lila Combs, 7, puts a plastic cup for a helmet on a space alien she's making, as is Riley Saunders, 2, in back. The Children's Room at the Amesbury Public Library are doing space-themed projects during school vacation week.